When I think of the word apron, my mind immediately thinks about both of my grandmothers baking in their kitchens, always wearing their aprons. I’m sure the incredible smells and delicious goodies that came out of those kitchens, inspired my love of cooking and baking and as long as I can remember, I’ve always worn an apron. I am also pretty messy when I cook, bake, craft or garden and without my apron, I am sure I would have ruined many an outfit!! 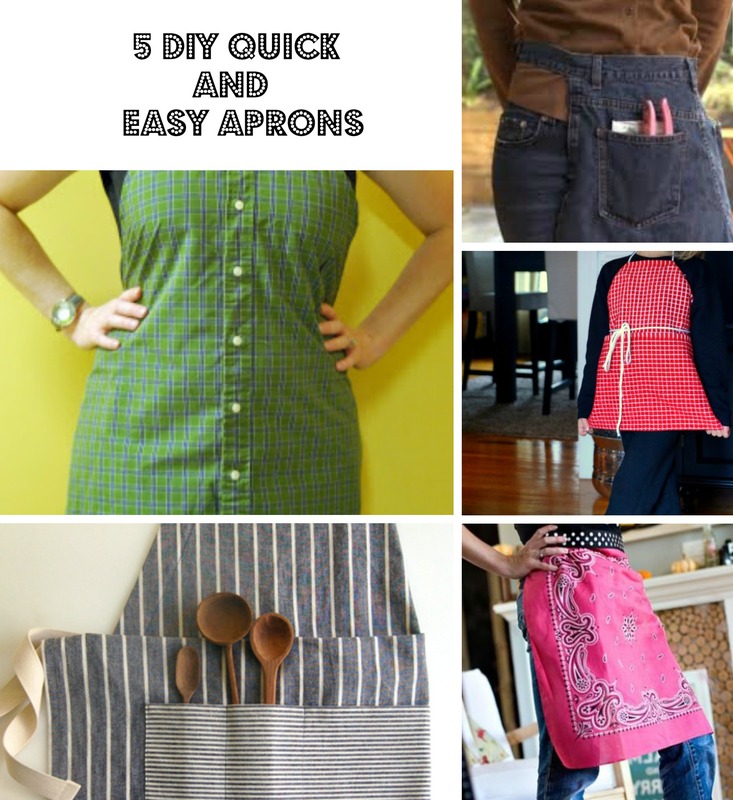 These five (5)aprons made my top favorite DIY quick and easy to make list. I bet I could make each and everyone of these but I’ll probably start with the no sew ones first . Be sure to click on the links for easy to follow tutorials. 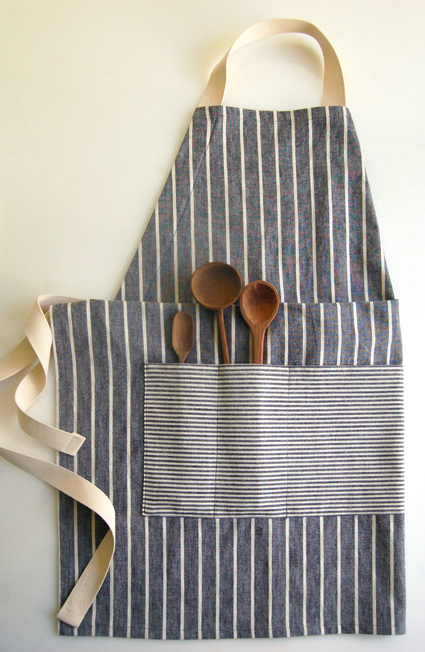 Purl Bee Studios has a unisex apron- great for mom or dad! For some reason this apron makes me want to BBQ. What could be easier, turn an old pair of jeans into a garden apron, in less than a minute! Brilliant idea! 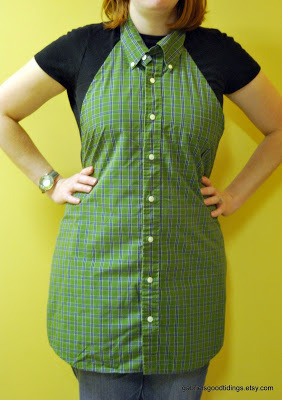 Everyone knows how I love to recycle and repurpose things, so naturally this one made the list – an old dress shirt, turned into an awesome apron and so easy to do. Check it out here at Gabriel’s Good Tidings (with full tutorial). This DIY Bandana Apron from Ashley Ann Photography is awesome because it is NO SEW – I see one of these in my future very soon. Last but not least, I could not forget the little people in our lives and I think it’s never too early to get the kids in the kitchen. Another no sew apron – This cute little apron is made from a dish towel and comes to us from Stephanie Lynn.com under the table and dreaming. 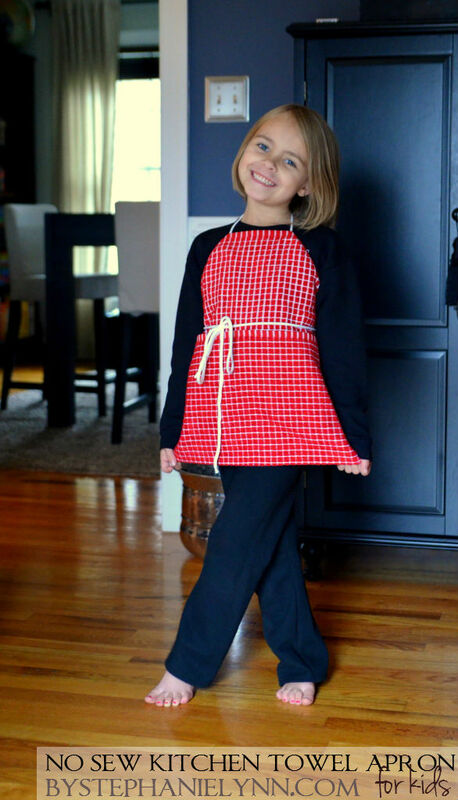 Whether they require sewing or not, DIY Aprons are A Wandaful Thing! This entry was posted in DIY, Make and tagged apron. pattern, bandana, cheap, children, creativity, DIY, easy, inexpensive, kitchen, material, no sew, recycle, repurpose, reuse, ribbon, shirt, simple, towel, vintage. Bookmark the permalink.